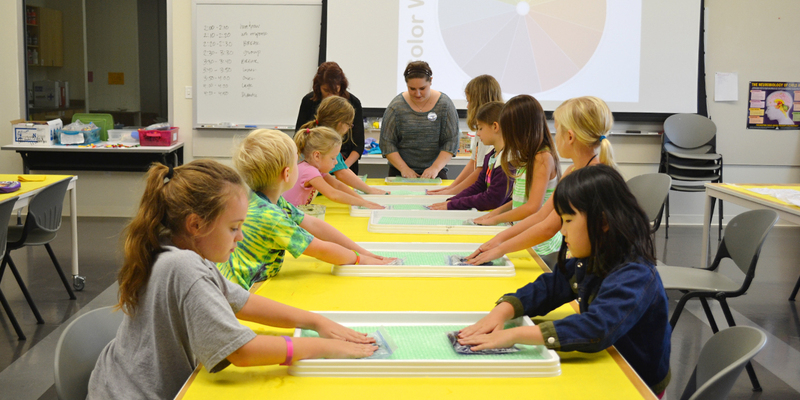 The Art Education Program at Southern Illinois University at Edwardsville is based in the School of Education Knowledge Base, which promotes the "Teacher as an Inquirer-Professional". The program is based on the initial level for teacher preparation in the areas of Knowledge Application and Development, Instructional Process, Context and Foundations of Education, Learners and Learning, Interpersonal Relation Skills, and Professional Relationships. In the Art Education Program, students are engaged in inquiry and reflection, processes that are a necessary component in the development of successful learning environments in various contexts. The art education certification program is designed to meet the needs of the future art educator working with students in grades K-12. Students interested in K-12 education teacher certification begin their program by first addressing general studies requirements and basic studio art courses. Along with these general studies courses and basic studio courses, the K-12 art education program prepares the future teacher of art with a broad, general background in intermediate-level courses in studio art, art history, art education and professional education. These courses provide the professional know program. They stress the development of the student as artist, the student as a future professional teacher, and the development of the student's teaching skills in school; first as an observer/participant, followed by implementation of lessons or units with students, and culminating with an intensive student teaching experience for one semester in two school settings. The program encompasses a knowledge base built on an understanding and application of skills in the fields of art studio, art history and the role and function of art to general education and to the culture it serves. Students are encouraged to examine how art is used to study cultural diversity. Students in the program observe and interact with a wide variety of art education professionals in a variety of art program settings so as to understand the role of each program to their student's needs and instructional objectives.